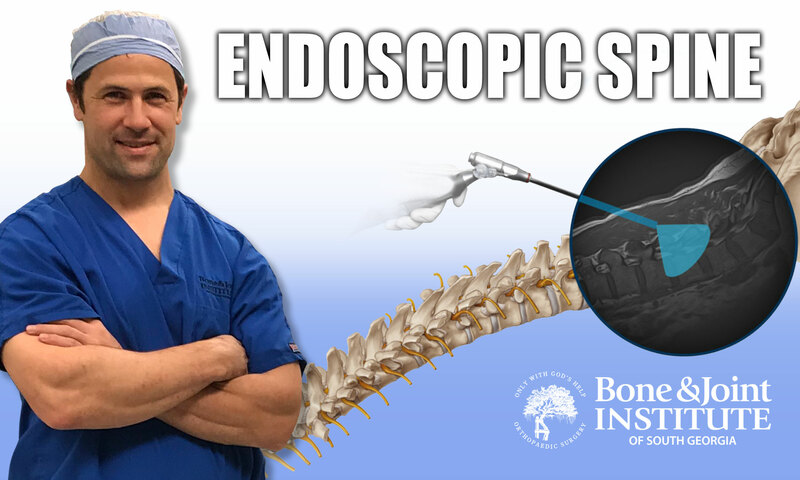 Dr. Thomas Loumeau of the Bone & Joint Institute of South Georgia, performed the first endoscopic spine surgery on January 8, 2019 using the newly launched 4K Endoscopic Spine Surgery System from joimax, Inc. The surgery was performed at the Surgery Center of BJI, LLC, located in Jesup, GA.
Thomas P. Loumeau, MD, a board certified orthopaedic spine surgeon, has joined the medical staff of the Bone & Joint Institute of South Georgia. Dr. Loumeau completed his spine surgery fellowship at one of the top spine surgery centers in the nation – OrthoCarolina, in Charlotte, NC. He worked alongside leading spine surgeons performing complex procedures. Dr. Loumeau began his medical career after graduating from University of Notre Dame with honors as an English Literature major. He attended Trinity College of Medicine in Dublin, Ireland. He attended the University of Illinois neurosurgery residency program in Peoria, Illinois, followed by the University of Florida orthopedic surgery residency program in Jacksonville, Florida. Dr. Loumeau then did his spine surgery fellowship at OtrhoCarolina.